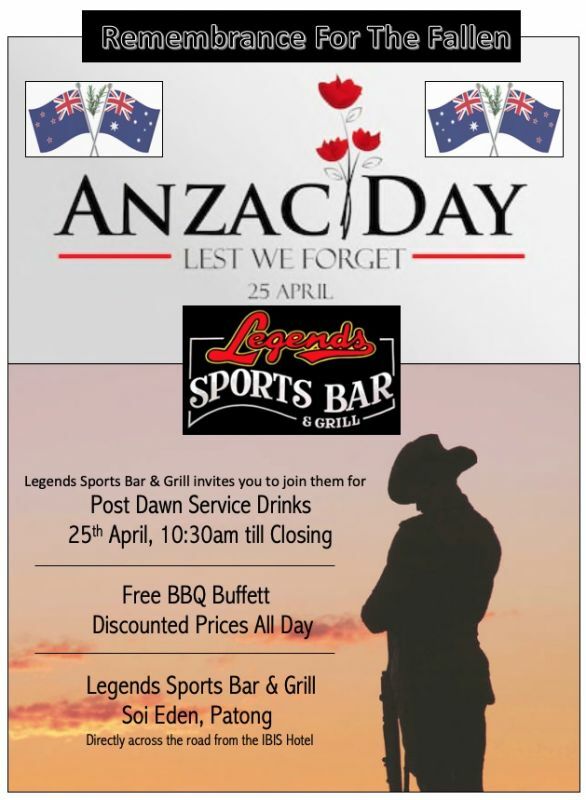 Legends Sports Bar & Grill invites you to join them for post Dawn Service drinks from 10:30am. Free BBQ buffet and discounted prices all day. Legends Sports Bar & Grill - Soi Eden, Patong, across from IBIS Hotel.